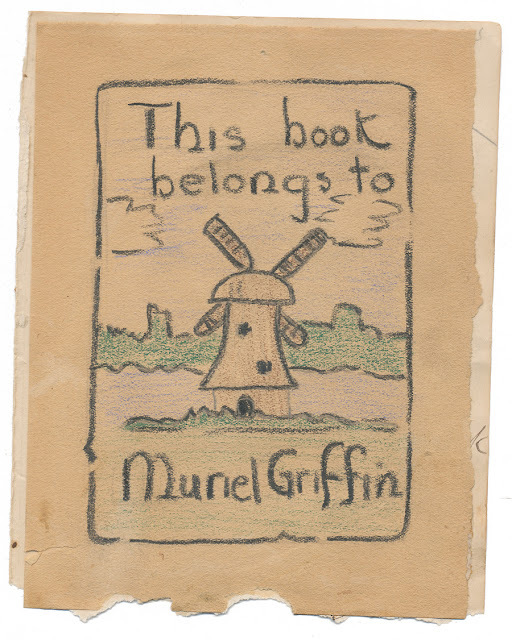 Homemade bookplate, looks like it was drawn and colored with crayon. Found in "Mainstone's Housekeeper" by Eliza Meteyard. 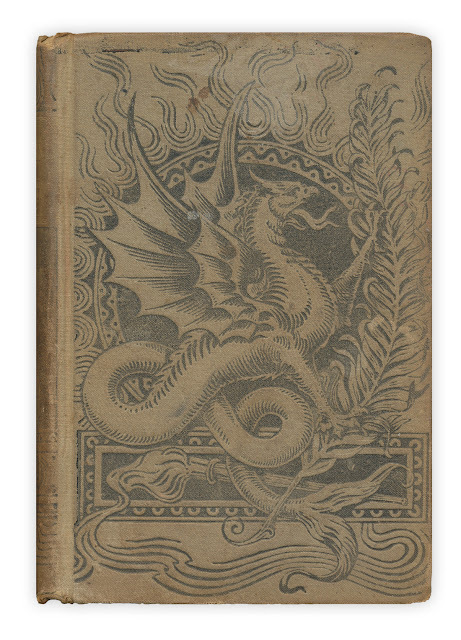 Published by Dodd and Mead, 1866. Muriel must have loved her book. The cover is wonderful, I can't find anywhere that gives a clue to what the book is about. I know it's a novel, it is a young children's novel? Did you notice the picture on the book appears to be a griffin -- just like Muriel's last name?